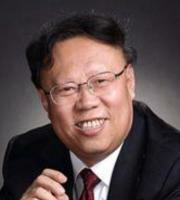 Member of the Communist Party of China, born in Yueyang City, Hunan Province, master's degree, senior economist. 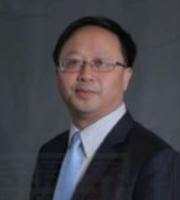 He is currently the party secretary and chairman of China Great Wall Asset Management Co., Ltd.
1. While adhering to the principle of "advancing with the times" and "advancing with the world", we have firmly maintained the "Chinese characteristics". We have neither strayed nor accepted, but insisted that "foreign is for Chinese use" and " He used it for me. He has maintained sufficient strategic strength in the process of building a socialist market economy with Chinese characteristics. 2. 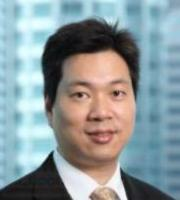 The Great Wall discounted the acquisition of four claims of a certain asset management plan, helped the listed company and four debt companies to restructure their assets, directly resolved the debt crisis of the four debt companies, and avoided the listing caused by the forced liquidation of securities companies. Corporate crisis. 3. Great Wall intervened in the debt restructuring of China Railway Materials Co., Ltd. in the form of “acquisition of private debts + active debt-to-equity swaps”. This is the first private equity debt default incident in China. Currently, Great Wall is assisting in the formulation of debt-to-equity swaps and restructuring. Program. 4. Great Wall has designed a comprehensive financial service plan based on debt restructuring, asset restructuring, enterprise restructuring, industrial restructuring and other diversified “investment banks” to improve the financial status of enterprises and improve their profitability. Help enterprises to "transform blood" to achieve transformation and upgrading, directly or indirectly resolve financial risks, optimize resource allocation, and then promote supply-side structural reform and market-oriented debt-to-equity swap. 5. Asset companies should aim to resolve financial risks and serve the real economy. 5. Bad assets have a distinct cyclical pattern, and as a commercialized market entity, an asset company must have a sustainable business. Looking at the world, while adhering to the principle of "advancing with the times" and "advancing with the world", we have firmly maintained the "Chinese characteristics". We have neither stumbled nor accepted it, but insisted that "the ocean is used for the purpose". "He used it for me" and maintained sufficient strategic strength in the process of building a socialist market economy with Chinese characteristics. The financial world: Please describe the 40 years of reform and opening up in your eyes? 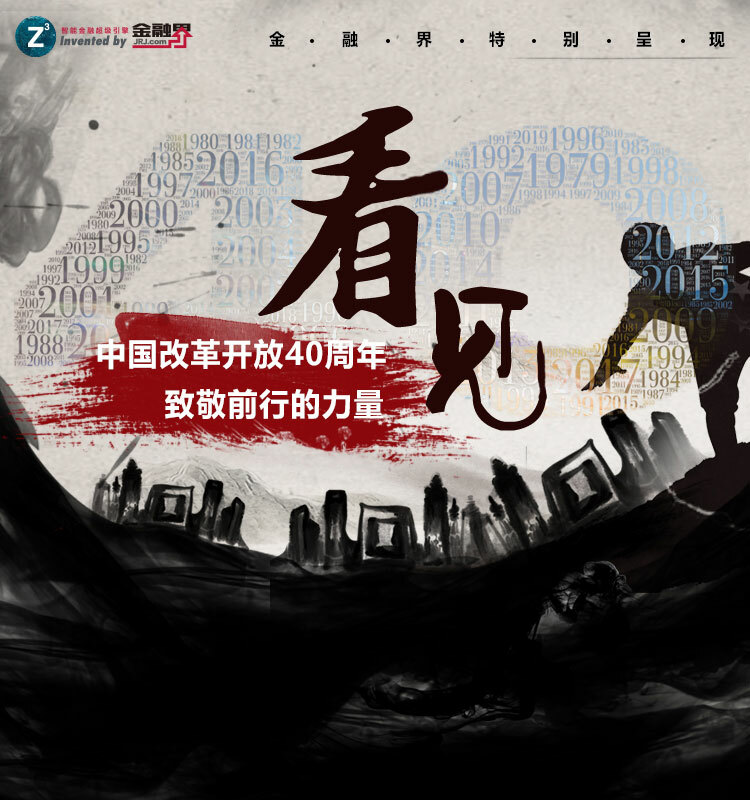 Shen Xiaoming: This year marks the 40th anniversary of reform and opening up. 40 years of reform and opening up have promoted a series of major historical changes in our society. On the one hand, reform and opening up not only promoted the shift of Chinese society to economic construction, but also promoted China's transition from a planned economy to a market economy. Social productivity was greatly liberated, social wealth grew rapidly, and people's lives were significantly improved. On the other hand, reform and opening up has promoted China's all-round opening. Openness has become a distinctive symbol of contemporary China. In 2017, China's total import and export volume was 410.504 billion US dollars, ranking first in the world; the actual use of foreign capital was more than 130 billion US dollars, the second in the world. Large foreign capital flows into the country. I want to use three words to describe reform and opening up - "looking at the world", "advancing with the times", and "Chinese characteristics." The reform and opening up process that was launched 40 years ago is on the one hand internal reform and on the other hand open to the outside world. Internal reforms have promoted our awareness and degree of opening up to the outside world. The impact of opening up has also contributed to our continuous efforts to intensify reform. . Looking at the world, while adhering to the principle of "advancing with the times" and "advancing with the world", we have firmly maintained the "Chinese characteristics". We have neither stumbled nor accepted it, but insisted that "the ocean is used for the purpose". "He used it for me" and maintained sufficient strategic strength in the process of building a socialist market economy with Chinese characteristics. The organic unity of the two advantages of "the strengths of the market economy" and the "socialist system" has made the socialism with Chinese characteristics a great vitality. The Great Wall intervened in the debt restructuring of China Railway Materials Co., Ltd. in the form of “acquisition of private debts + active debt-equity swaps”. This is the first private equity debt default incident in China. 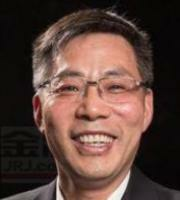 Currently, Great Wall is assisting in the formulation of debt-to-equity swaps and restructuring plans. Financial sector: Great Wall assets are state-owned non-bank financial institutions approved by the State Council and controlled by the Ministry of Finance. Can you review the process and difficulties in acquiring and disposing of non-performing assets of state-owned banks in that year? 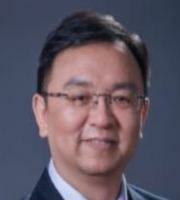 Shen Xiaoming: The predecessor of China Great Wall Asset Management Co., Ltd. is China Great Wall Asset Management Co., Ltd. It is a state-owned non-bank financial institution established in October 1999. It is mainly engaged in the business of acquisition, management, disposal and agency of non-performing assets. 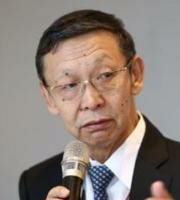 At that time, he shouldered three historical missions: first, the acquisition of non-performing assets of banks, support for the reform of state-owned commercial banks, and create conditions for their share reform; second, the implementation of debt-to-equity swaps, restructuring and integration of eligible state-owned enterprises to promote their burden reduction The third is to use special legal status and specialization advantages to dispose of the recovery of non-performing assets, maximize the preservation of assets and reduce losses. At the beginning of its establishment, Great Wall Assets received 344.5 billion yuan of non-performing assets divested by the Agricultural Bank according to policy arrangements, and the number of enterprises involved in creditor's rights reached 1.95 million. Compared with the same industry, Great Wall Assets received the largest number of non-performing assets, but the scale was the smallest, the household credits were the smallest, and the unit disposal cost was the highest. And because many of the ABC's claims involve rural collective cooperatives and even individual farmers, the situation is more complicated, the recovery rate is relatively low, and disposal is more difficult. Even so, the Great Wall people still have a firm mission and overcome difficulties. 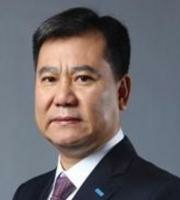 In the end, the cash recovery rate of the policy assets of the Great Wall Assets far exceeds the quota approved by the Ministry of Finance; the cumulative debt-to-equity swap for more than 150 state-owned large and medium-sized enterprises; Enterprises that closed bankruptcy within the company implemented debt relief. Effectively supported the reform and development of agricultural banks and state-owned enterprises, and successfully fulfilled the mission of “solving financial risks, supporting state-owned enterprises to reform and maximizing asset preservation and reducing losses”. The financial sector: At present, all parties are highly concerned about the risks of private enterprises. 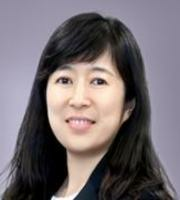 What measures does Great Wall Assets have to support private enterprises? This year, there are many stock pledge risk incidents. Will the Great Wall assets have any interventions, and in what way? Can you introduce one or two specific cases? 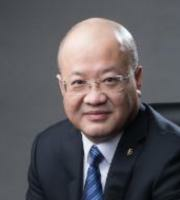 Shen Xiaoming: We are very concerned about the default of creditor's rights and the stock pledge of listed companies, and actively and proactively approach the relevant institutional enterprises to seek cooperation opportunities, and hope to use our professional means to resolve and mitigate risks. This year, we launched a “strategic rescue + industrial upgrading” program for listed companies to serve the deepening of supply-side structural reforms. This plan relies on the main business of non-performing assets of Great Wall Assets. Its core is the entry point of traditional bad business such as debt acquisition and debt investment. Through the operation mode of stock and debt linkage, it actively plans debt restructuring, asset restructuring and equity restructuring. Give play to the core functions of the asset company, effectively resolve the potential default risk of listed companies, and support listed companies that are in line with industrial policy orientation and have potential for development to upgrade their industries, thus playing a role in stabilizing the capital market. Faced with the complicated situation of the financial market, we have actively cooperated and have formulated more than ten debt restructuring plans for listed companies. In the first half of the year, we signed an equity transfer agreement and strategic cooperation agreement with Guizhou Chitianhua Group, converting the original 1 billion yuan debt into a 10.94% stake in the listed company Chitianhua, and became its second largest shareholder and important strategic cooperation. Partners; Not long ago, we signed an "Integrated Service Intention Agreement" with Qianshan Pharmaceutical Machinery Co., Ltd. to provide a comprehensive package of services such as asset restructuring, debt restructuring, profit model restructuring, and management and restructuring to help resolve the debt crisis and resume normal production and operation. Transformation and upgrading. In the face of market liquidity pressure, under the premise of compliance, we have invested no less than 10 billion yuan this year for substantive mergers and acquisitions. Previously, we reorganized a securities company's underlying creditor's rights of nearly 1.2 billion yuan in assets and management products. Great Wall discounted the acquisition of four claims of the asset management plan to help the listed company and four debt companies to restructure their assets, not only directly Resolved the debt crisis of the four debt companies, avoided the crisis of listed companies caused by the forced liquidation of securities companies, and protected the interests of small and medium investors in the asset management plan. While maintaining the stability of the capital market, it effectively prevented possible Group events. The financial sector: Please tell us about the latest progress in the growth of Great Wall assets in the work of promoting the transformation of market-based debt into stocks, defusing financial risks and supporting problematic enterprises. 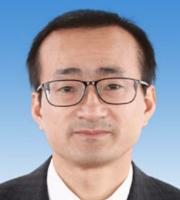 Shen Xiaoming: Our company earnestly studied and understood the spirit of the "Notice on Specific Policy Issues in the Implementation of Market-Oriented Banks' Debt-to-Equity Transfers" and actively explored the market-oriented debt-to-equity swap business. Up to now, six market-oriented debt-to-equity swap projects have been implemented, with a framework agreement amounting to 8.6 billion yuan. In June, China Railway's 11.6 billion yuan market-oriented debt-to-equity swap project, Great Wall invested 2.5 billion yuan and led the joint acquisition of Cinda and the East to acquire a total of about 6 billion yuan in debt. This will effectively reduce the asset-liability ratio of China Railway Group, reduce the financial burden of enterprises, enhance the capital strength of enterprises, and provide effective support for the next step of adjusting business structure, improving operation management and improving operational efficiency. At present, the key debt-to-equity swap case we are operating is the disposal of the “China Iron” bond default project. China Iron & Steel Co., Ltd. is a joint stock company established by the core assets of China Railway Materials (Group) Corporation (formerly known as the Ministry of Railways Materials Administration). On April 11, 2016, it announced that it has applied for a total of 16.8 billion debt financing instruments to suspend trading. This is the first domestic private equity default incident of central enterprises. On January 19, 2017, Great Wall signed an asset restructuring cooperation agreement to intervene in the debt restructuring of China Railway Materials Co., Ltd. in the form of “acquisition of private debt + active debt-equity swap”, that is, the acquisition for the purpose of equity conversion. Debt is the entry point, and then the opportunity to transfer the debt to equity, to achieve the purpose of debt-for-equity swaps, time-for-space, and use this as a starting point to instigate the implementation of a package of restructuring, thereby promoting the overall settlement of China's iron debt . At present, the Great Wall is assisting in the formulation of debt-to-equity swaps and reorganization listing plans, actively exploring various operational methods, and finally completely solving the debt problem. The financial sector: Great Wall, Cinda, Huarong and Orient Assets have been established for 20 years next year. What do you think are the important turning points in the development of the asset management industry? Here, “bad bank” means non-performing asset acquisition and disposal, reducing corporate financial costs, optimizing debt structure, resolving bank debt crisis, and maintaining financial system stability; “good bank” is to build a platform for improving the value of non-performing assets and improve resource allocation efficiency and effectiveness. Promote the sustainable development of enterprises, help enterprises to get out of the operational dilemma, and realize the turnaround of losses; "investment banks" are diversified means of debt restructuring, asset restructuring, enterprise restructuring, industrial restructuring, etc. The comprehensive financial service program improves the financial status of enterprises, enhances the profitability of enterprises, helps enterprises to “transform blood” to achieve transformation and upgrading, directly or indirectly resolves financial risks, optimizes resource allocation, and promotes supply-side structural reform and market-oriented debt-to-equity swaps. The first stage: the policy business stage. In November 2000, the State Council promulgated the "Financial Asset Management Company Regulations" to clarify the operational framework of the four major asset companies, and the deadline for the disposal of policy claims by the Ministry of Finance in 2006. During this period, the asset company raised funds through targeted issuance of financial bonds and refinancing to the People's Bank of China, and received policy-type non-performing assets divested by state-owned commercial banks at book value. In the absence of mature experience, we can maximize the collection of bad debts on the basis of legal compliance, maximize the recovery of asset losses, and do not assess costs and benefits. The second stage: the stage of commercial transformation. Asset companies explored the acquisition of non-performing assets in a commercial manner, extended the acquisition of non-performing assets to non-bank financial institutions' non-performing assets and non-financial corporate non-performing assets, built a business platform around the value of non-performing assets, promoted institutional reforms, and completed them one after another. Shareholding system transformation. During this period, asset companies began to operate independently, and the source of funds shifted from policy loans to market-based financing. The non-performing assets business had to bear the cost of capital, financial costs, operating costs and related taxes and fees, and the profit pressure was significantly increased. Our cost awareness, The concept of benefit has been greatly enhanced. At that time, for the assets with business value, through the additional investment and other means to promote the reorganization of corporate elements and enhance the value of non-performing assets. 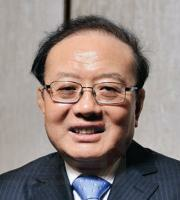 The third stage: a new era of reform and development after the reform of the shareholding system. During this period, the regulatory policies with strong supervision and strong accountability as the main features were introduced intensively, which promoted the clearing of financial originals and falsification. In terms of business model, asset companies are more focused on the main business, and allocate limited resources to asset-buy acquisitions and substantial restructuring operations with low economic capital occupation; non-performing assets business focus on creditor's rights, problem enterprises and problem organizations, and vigorously expand substantive Restructuring business. The financial sector: The return to the source is the most important reform requirement of the central government for the financial industry. How will the Great Wall assets and the entire non-performing asset management and disposal industry respond to national requirements, adjust their own positioning, and serve the overall situation of national economic construction? 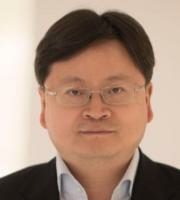 Shen Xiaoming: First of all, with the advent of the new cycle of non-performing assets, take the initiative to assume the historical responsibility of resolving financial risks. The current economic operation has changed steadily, and the downward pressure on the economy has increased. The growth of accounts receivables in the real economy has accelerated, and the size of non-performing assets and non-performing assets of financial institutions have continued to rise. The Great Wall will continue to undertake the historical responsibility of revitalizing existing assets, resolving financial risks, and making important contributions to preventing and defusing systemic financial risks and maintaining social and economic stability. Secondly, with the gradual deepening of the supply-side structural reform, it has taken the initiative in corporate restructuring, industry consolidation and industrial mergers and acquisitions. "Multiple mergers and acquisitions, less bankruptcy and liquidation" is an important idea for the central government to deal with "zombie enterprises" in the supply-side structural reform. 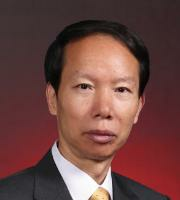 In recent years, we have innovated a series of distinctive M&A and restructuring business models through a combination of debt restructuring, asset acquisition, and additional investment, and operated a series of classic cases such as “ST Dongsheng” and “ST Super Day”. .
Third, actively play the role of integrated financial services, and actively support the development of private enterprises and the real economy. In recent years, reducing the proportion of indirect financing and increasing the proportion of direct financing has become the general direction of financial reform. The “Zhongtai Automobile” project we have previously operated is through the “asset management method + professional subsidiary financial services” model, using “debt acquisition + asset restructuring”. +Financial leasing + equity investment" comprehensive service means, for the past five years, "Zhongtai Auto" has provided more than 7 billion integrated financial services to support the realization of the overall restructuring and listing. Asset companies should aim to resolve financial risks and serve the real economy. Non-performing assets have a distinct cyclical pattern, and as a commercialized market entity, an asset company must have a sustainable business. The financial world: Asset companies are called countercyclical tools. In the context of anti-risk and deleveraging in the past two years, what has Great Wall Company done in this regard? In the battle to prevent and resolve major risks, what are your expectations for the future reform and development of asset companies? 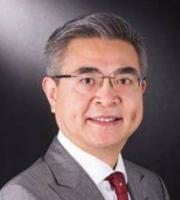 Shen Xiaoming: Asset companies should aim to resolve financial risks and serve the real economy. The 19th National Congress, the Central Economic Work Conference, and the Fifth National Financial Work Conference put the prevention and mitigation of systemic financial risks at a more important position. Historically, the asset company has managed to reorganize a series of financial institutions such as Xinjiang Financial Leasing, Zhejiang Financial Leasing, Hantang Securities, and Jingu Trust, and successfully disposed of the “Delong Department” problem enterprises. It can be said that the prevention and treatment of systemic financial risks It is the "old bank" of the asset company. In the new era, asset companies will take advantage of this experience. First, the main business of holding bad assets is unwavering. Through the acquisition of non-performing assets to resolve potential or formed financial risks, debt restructuring will reduce the financial risks of entities, and help deepen the structural reform of the supply side. The second is to act as a “scavenger” and “Chinese and Western Medicine” in the economic and financial system, focusing on the resolution of comprehensive financial risks with large social impact, wide coverage and high difficulty in handling; fulfilling policy functions, adopting financial assistance and institutional custody Other ways to deal with possible financial risks, reflecting the "national team" to prevent and resolve financial risks in the new era. The third is to explore a new paradigm of financial services real economy. That is to provide enterprises with a comprehensive package of financial services based on substantial restructuring, innovative market-based debt-to-equity swap business model and practice, giving full play to the special functions of asset companies to revitalize stocks. Balancing both economic efficiency and social responsibility is my most fundamental expectation for the reform and development of Great Wall assets. At present, China is in the process of transforming its development mode, optimizing its economic structure, and transforming its growth momentum. The task of reform and development is arduous. 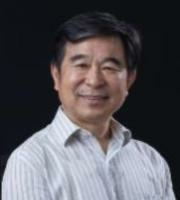 We will promote the "balanced and sufficient" development of the national economy, and then establish the existence value of Great Wall assets in promoting the establishment of a modernized economic system, explore unique business logic that fits the new development concept, and seek a sustainable development model in the process of serving the real economy. At the same time, we found that non-performing assets have a distinct cyclical pattern, and asset companies, as the mainstay of commercialization, must have a sustainable business. In the process of hosting financial institutions for bailouts, asset companies reorganized and integrated some institutions, established subsidiaries with partial financial licenses, and gradually explored their own sustainable development model. On the one hand, the subsidiary of the asset company, as a “toolbox” for integrated financial services, has expanded the asset company’s disposal of non-performing assets and value-raising means; on the other hand, when the macro-economy is in a cyclical upward phase and the supply of non-performing assets is drastically reduced, To a certain extent, the subsidiary can smooth the fluctuation of the assets of the asset company and ensure the sustainable development of the asset company. The financial world: You have served as a supervisory department. How do you view the financial supervision in the past years of deleveraging? Can you summarize the experience of this process? 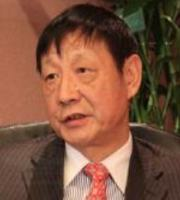 Shen Xiaoming: The curtain of the rectification of "chaos" was opened in 2016. So far, it has experienced two rounds of intensive supervision and control: the "three three forty" inspection by the China Banking Regulatory Commission in March-May 17 and the intensive supervision documents in early 18 release. With the intensive introduction of regulatory policies characterized by strong supervision and strict accountability, asset companies face insurmountable antennas, namely, their risk resilience, corporate governance structure, scale and speed of development, and asset quality are subject to capital constraints. . It should be said that the effects of supervision and rectification in recent rounds have been remarkable, and the ecological chain of China's finance is accelerating reshaping. First of all, it highlights the “supervised surnames”, emphasizes the compliance culture and the responsible person system, increases penalties, and positions the regulatory focus on preventing and disposing of various financial risks. In particular, after the establishment of the Golden Stability Committee, more emphasis on functional supervision and behavioral supervision, arbitrage space will be greatly squeezed. Second, it is to promote the financial system to de-leverage, to channel, to the chain. Emphasis is placed on optimizing resource allocation, enhancing the capabilities of service entities, and combating channel services, which will force the pan-funded industry to lose weight. Third, the promulgation of a series of measures, such as the new regulations on wealth management and new regulations on financial management, broke the pattern of just-in-time, and the concentration of the financial industry in the future will increase and the regulators will survive. 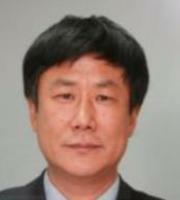 Fourth, promote the return of financial institutions' business to their origins. Fifth, for all types of financial institutions, penetration supervision has been strengthened, and the substance of supervision is more important than form.